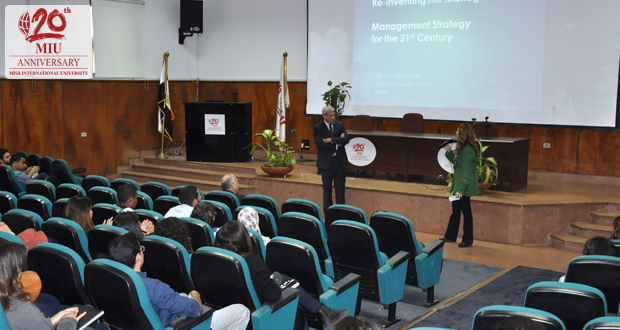 MIU Management Department of the Business Administration and International Trade Faculty organized a seminar entitled “Management Strategy for the 21st Century” on November 22, in continuation of the university’s efforts to provide limitless opportunities for its business students to grow academically. The seminar hosted guest speaker Dr. Khaled Shedid, the General Manager of the Wholesale & Dealer Network at Bavarian Auto Group (BMW). Dr. Shedid tackled how to overcome the challenges of the 21st century and how to be a more adaptable, innovative and inspiring place for creativity.